FTEJerez is proud to announce that the college has been chosen by Air Astana to deliver the ab initio training of the airline’s trainee cadet pilots. 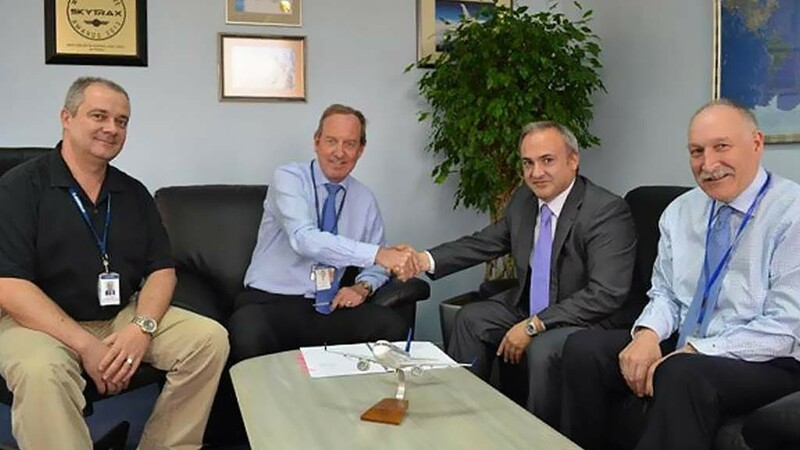 Following an intensive selection process by both the airline and FTEJerez, the first group of Air Astana cadets is expected to commence their training in Jerez, Spain, towards the end of July 2013 with a further 20 to 25 trainee pilots to follow over the next few months. Air Astana joins a long list of leading international airlines such as Emirates, British Airways, Aer Lingus, Qatar Airways, BA CityFlyer, Cityjet, Flybe, Middle East Airlines, Afriqiyah, etc., who have chosen FTEJerez to train their cadet pilots. Air Astana is the main airline and the flag carrier of the Republic of Kazakhstan, with its headquarters in Almaty. At the 2012 World Airline Award ceremony that took place during the Farnborough Airshow in the UK, Air Astana was named the Best Airline in Central Asia & India. Today the airline operates a fleet of 26 aircraft with close to 50 domestic and international routes and employing more than 3,500 staff. Air Astana recently placed an order for purchasing Boeing 787, Boeing 767, Airbus A320 and Embraer 190 aircraft that will expand the Air Astana fleet up to 33 aircraft by the end of 2016 and up to 43 aircraft by 2020. “We are naturally delighted that a prominent airline such as Air Astana is entrusting FTEJerez with the training of its future captains. Not only does it underscore the worldwide recognition that FTEJerez enjoys when it comes to the provision of quality airline pilot training, but it also is a fitting recognition of the continued commitment of all at the college to live up to our motto of Excellence in Training”, FTEJerez CEO, Oscar Sordo stated.